With great effort comes great rewards--Leonie Parado proved that there’s no impossible in dreaming big. Dreaming big and winning big--and somewhere in between those lines lies Leonie Parado's story of struggle, hard work, and fruits of labor that mirrors everything he is today. From being a shoe shine boy at the age of 14, a Mr. Quickie staff at 17, to owning his own franchise at the age of 28, Parado makes ends meet for his family but still remains humble despite his success. Parado never knew that his noble job will lead him to achieving his dream to be successful. He just believes that working hard will eventually pay off. True enough, after 11 years of hard work, effort, and patience, Parado---with the help of Emiliano Caruncho III, Mr. Quickie's founder---was able to put up his own business that's close to his heart---a Mr. Quickie franchise. "It was really my dream to have my own franchise. I am happy that it had finally come true," says Parado during an interview with Entrepreneur.com.ph. It was in the year 1998 when Parado opened his Mr. Quickie franchise in Tagaytay. "It's hard at the start, but Mr. Quickie never failed to give us advice and support from time to time," he added. Aside from Mr. Quickie's continued support, it is his length of service and good training at work that have also helped him in managing the business. Through his experience in shoe repairs and customer handling, he was able to cope with the needs of his business and develop skills he needed for himself. He never stopped learning to grow his business. 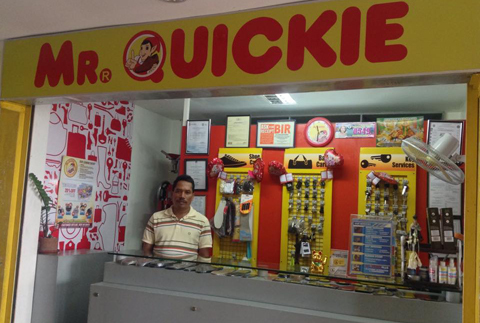 After 15 years, Parado was able to put up his second franchise outlet through Mr.Quickie's in-house financing. This just proves that even shoemakers like him can have their own franchise. His business time-frame may be quite long, but it's all worth it. Truly, there's no impossible in dreaming big. This business has helped his family a lot. His eldest son will be graduating from college this year and he's very thankful for without this business, he wouldn't be able to send his children to school. Of course, it was not all highs for Parado's franchise business. There were a lot of difficulties and hitches along the way but with team effort and hard work, his family was able to overcome those. "If you started good in the business, you must be consistent about it or exceed your customer's expectations. Trust is important in this business. If you have earned their trust, your customers will always come knocking at your doors," shares Parado. For aspiring entrepreneurs, this is what Parado has to say, "Don't give up on your dreams easily. You'll achieve further heights when you work hard. And when time comes you have achieved it, learn to value it." 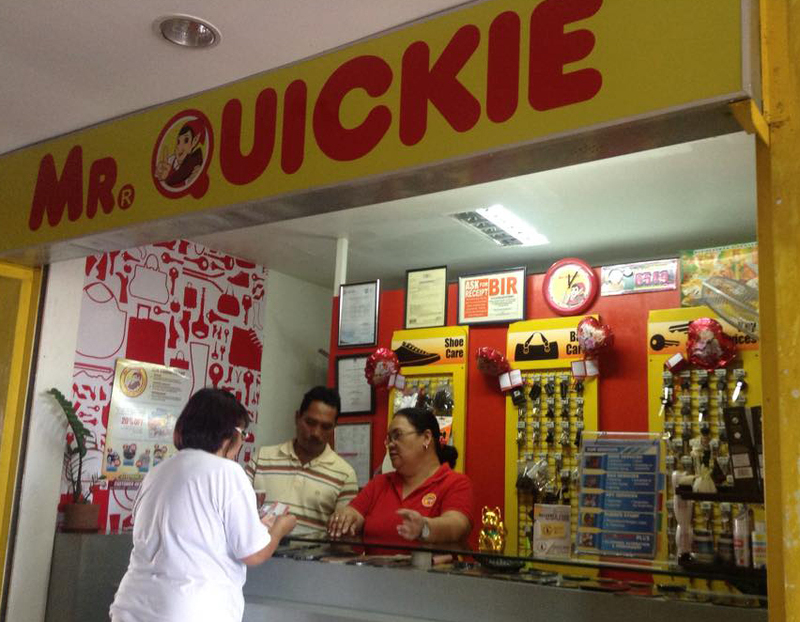 This might be the perfect time to buy a Mr.Quickie franchise and have your own success story just like Leonie Parado. Check out its directory listing here .